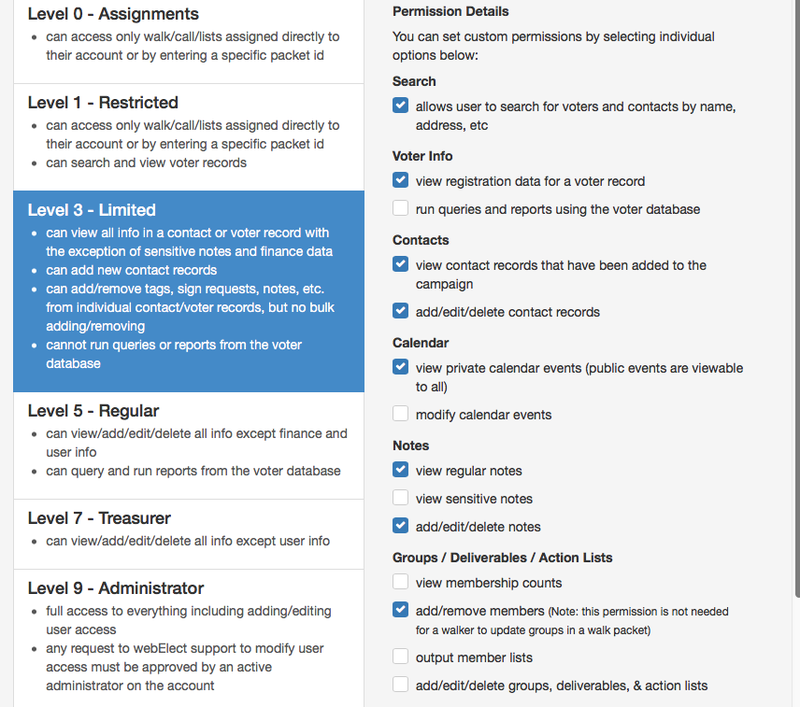 This page will go over how to add/remove users from a campaign as well as explain what each of the user levels grant access to. 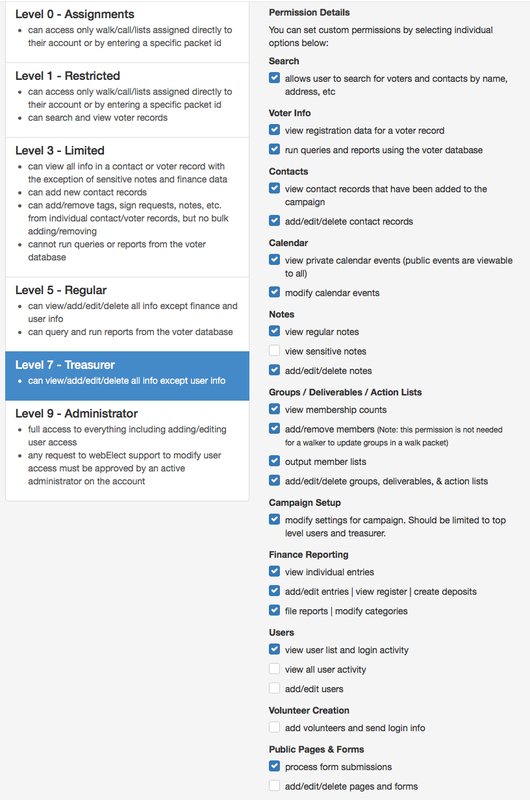 Starting on the old menu, select "Users" under Administration. Here you will see a list of all the users, both current and expired, as well as their levels of access and expiration date. To add a user, select "Add new" in the top left corner. Fill out the form, double-checking that the email address is correct. For an explantion of the different levels access, see below. The expiration date, precinct restrictions, and verbal lock are all optional. Once you have finished filling out the form, be sure to hit save. An email will be sent to the new user with the account login information. 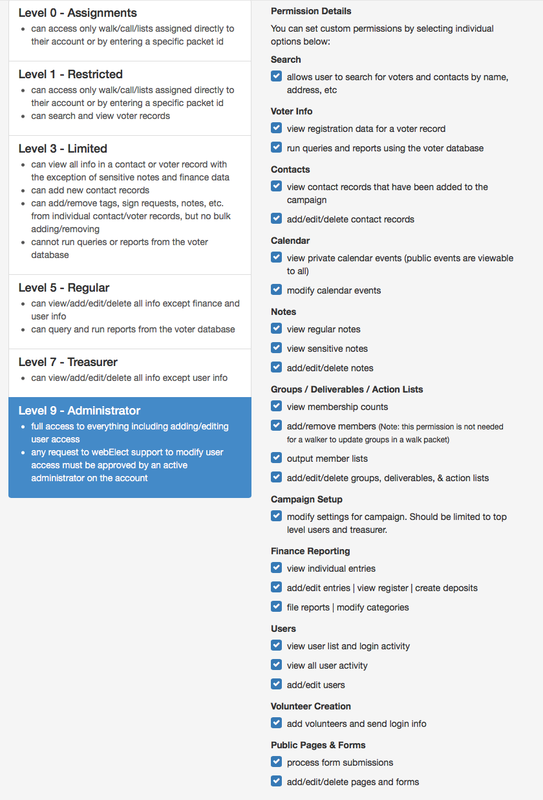 To remove users from a campaign, navigate to the Users page from the Main Menu. Click "Edit" next to the name of the user you would like to remove, and set the users expiration date to a past date. This will expire their account and they will no longer have access. 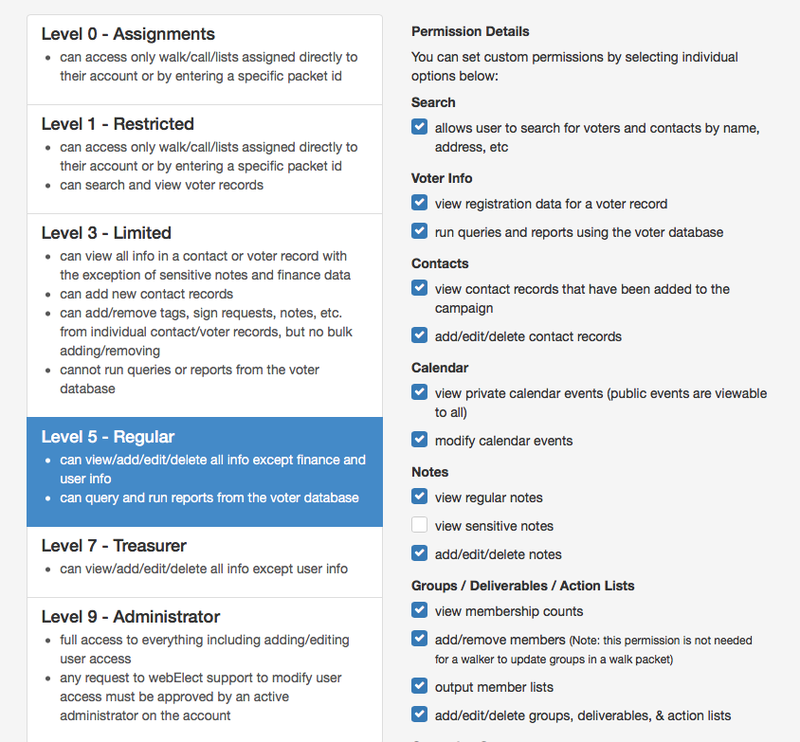 webElect gives you the ability to set user access and permissions by selecting one of six user levels, ranging from "Level 0 - Assignments" to "Level 9 - Administrator". You can set these for individual users by clicking "Users" under the Administration heading on the Main Menu and then "Edit" in the action column next to the name of the user.